Selected works from February 1-28, 2019. Reception February 13th from 7 pm to 9 pm. A Mid-Winter's Pop of Colour exhibition will help break the cold of mid-winter on the prairie. 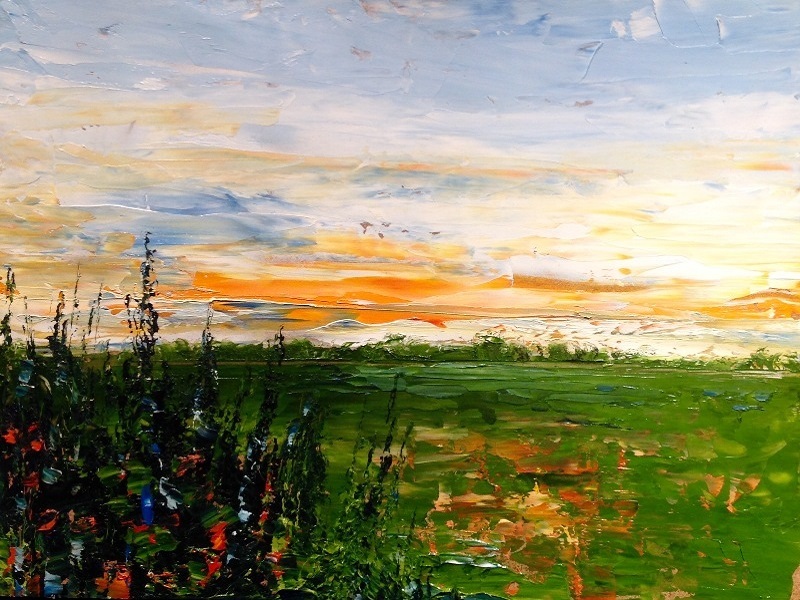 Desmond will be featuring works in oil and acrylic created through the use of bold colours and the palette knife. Inspired through Canadian travels and a love for the land, Desmond's impressionistic landscapes range from our local Assiniboine Forest and neighbouring Lake of the Woods to east, west and northern Canada.